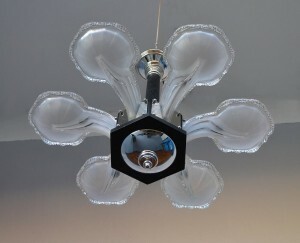 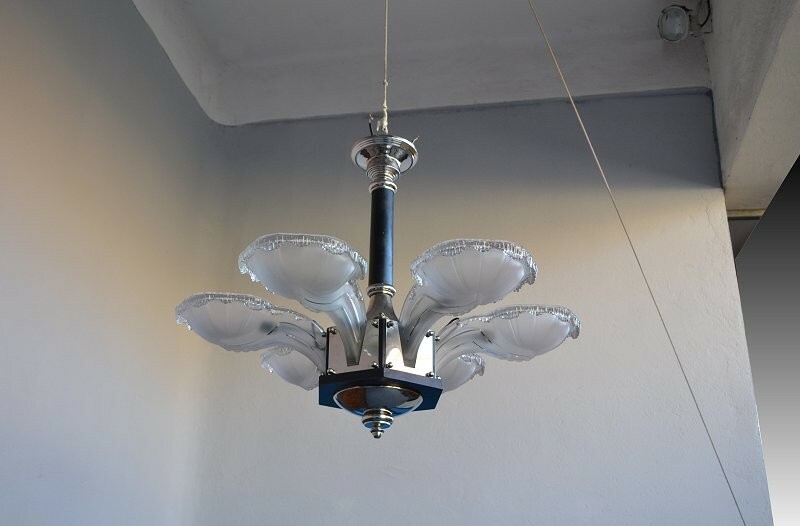 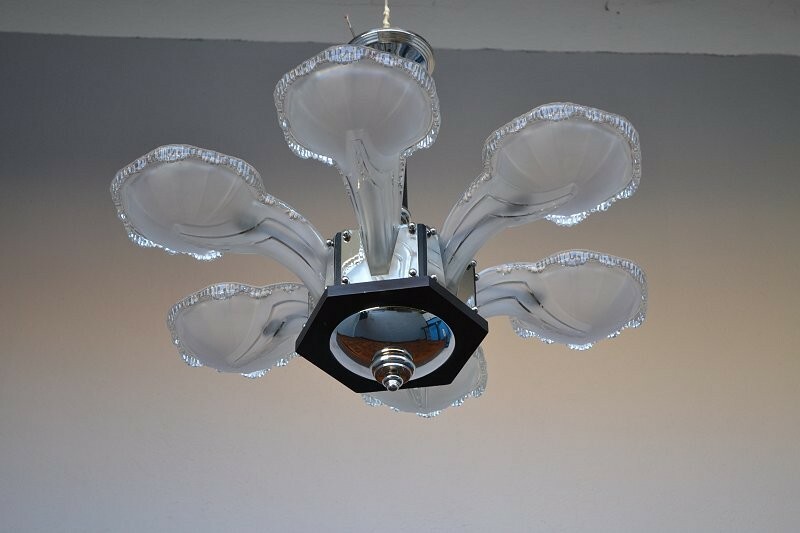 Stunning French Art Deco period chandelier in fabulous condition . 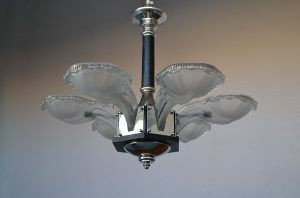 6 beautiful Ezan shades again in perfect condition. Ebonised hard woods and nickel plated brass. 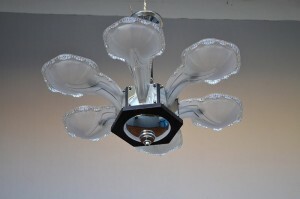 A fantastic centre piece for any room. 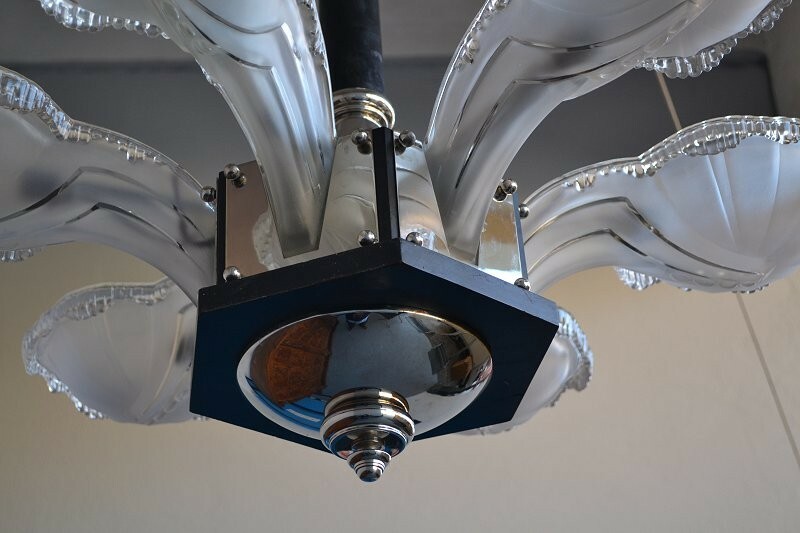 we also have 6 matching wall Scones available which have been hand made to match again using ebonised hard woods, nickel plated brass and 6 perfect Ezan shades.